Another FOTD for make up challenge. 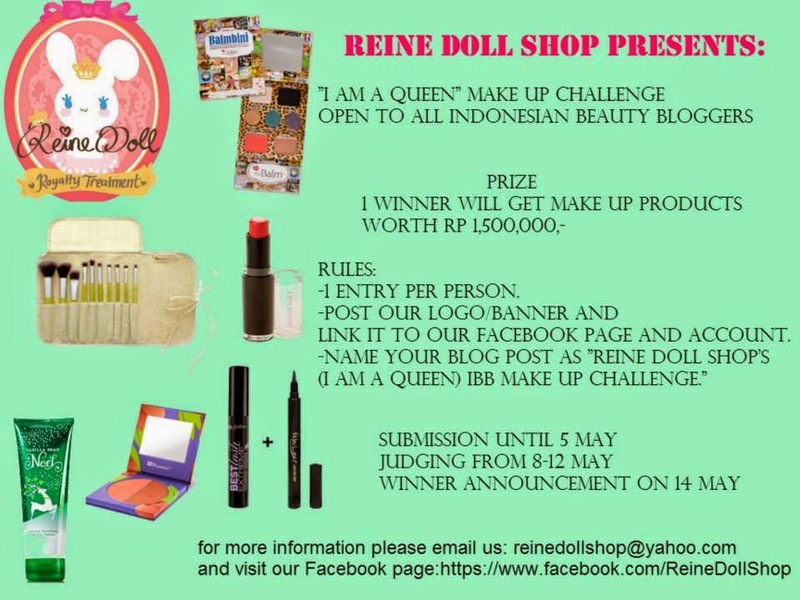 This time the make up challenge hosted by Reinedoll Shop. Okay I will not talk much in this post. I came up with 'Flower Queen' make up theme. Yeah since I think that I could make crown from fake flowers I have, so I decide to make this 'Flower Queen'. Soft pink nya bikin gimana gitu.hehe.. OMG!!! Keren bgt bgt lho! Kece banget.... Bunga2nya bikin fresh!